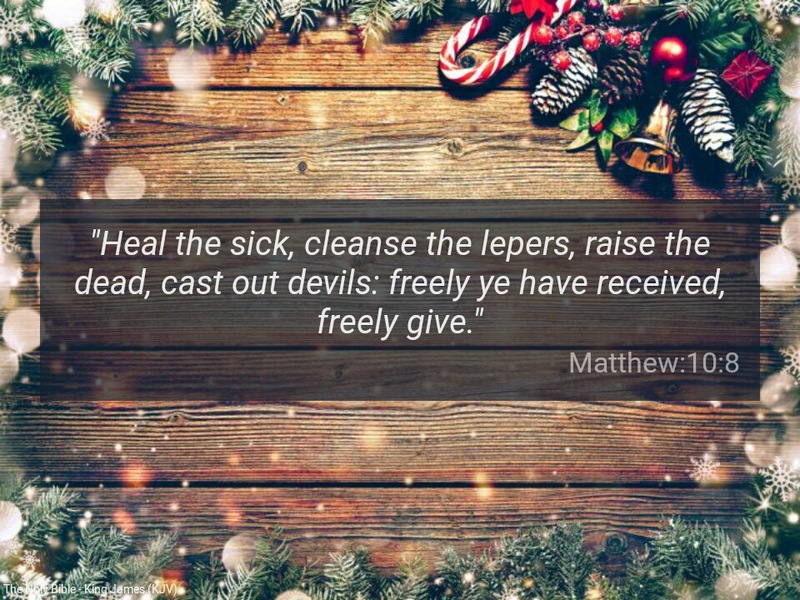 Word for Today:’freely ye have received, freely give’. There is a deceptive wind blowing in the church today with regard to the concept of SEED SOWING. It’s an evil wind. Ignorance for spiritual things and greed are at the root of it. Many ministers of God are capitalising on the ignorance of the people due to spiritual ignorance. “There is that scattereth, and yet increaseth; and there is that withholdeth more than is meet, but it tendeth to poverty” ( Proverbs 11:24). However, when talking of sowing, the word of God is NOT ALWAYS referring to money or material things. We can SOW our TIME into somebody in distress by being a good listener. You can sow to others life by being outstanding in areas that bring glory to God in Christ for people to see. You can sow by being outstanding in honesty, transparency, accountability, loyalty, integrity, diligence , compassion, humility etc. The question I often ask people is this: When Jesus Christ was on earth, doing His Father’s work for about three and a half years, through the ministry committed to Him, was He gathering people and collecting money or material things from them , through whatever guise? Please, someone should answer me, and if yes, should show me the scriptures. As Christians, we are first and foremost followers of Jesus Christ! Our core value should be to do what He was doing when He was on earth. Why are we deviating? Why are we capitalising on the spiritual ignorance of our people (Hosea 4:6)? The anointing or empowerment from God is NOT for sale . Freely you have received, freely you should give. People can do God’s word by sowing into the lives of the poor ones around them. “He that hath pity upon the poor lendeth unto the LORD; and that which he hath given will he pay him again” ( Proverbs 19:17). Dear Father, please give us the grace of spiritual understanding in Jesus mighty name. Amen. Previous Previous post: Word for Today: God is a Spirit that dwells in you. Next Next post: Word for Today: Be transformed by the renewing of your MIND.